Looking for a FileMaker Plug-in to connect to a third party application or hardware device? One of our FileMaker utility plug-ins may be just right for you! Plug-ins expand FileMaker Pro's capabilities and automate routine processes, allowing you to work quickly and efficiently. 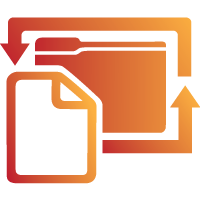 We have plug-ins that can manage PDF documents and forms, access AWS S3, capture electronic data for security, configure printer and file settings and process credit cards.